Nurse Carrie has been with me for 6 years, Megan for 5, and Deb for 3 years. Ashley is our Scottie Pippen and has been with me for 5 years – she can do anything and everything she does is amazing. Each one of this team can light up a room simply by being in it with you. The level they go for your care is extraordinary. They are my “Dream Team.” Were there a reality TV show for such things, I would put them up against anyone the world by far. Yes, I am exceptionally biased for which I make no apologies on this score. They are simply among the biggest blessings in my life and I thank the Lord for them all the time. If you have any problems whatsoever that we may not know of, please never hesitate to call Dr. Rossi. He will make sure to maximize all we can do to help you. Again, simply put, I thank God for Dr. Rossi in our lives. Finn R. Amble, M.D., F.A.C.S. Eighteen years ago Dr. Amble and his wife started their family and life in Bloomington and have enjoyed the people here immensely. Active as an elder of Second Presbyterian Church and in numerous community services, he particularly enjoys spending time with his wife and three children in addition to most outdoor activities, particularly biking. Fun fact: He and his high school best friend were awarded Congressional Recognition of Outstanding Achievement when they bicycled across the country raising money for the American Red Cross. Dr. Amble, also on staff with the University of Illinois College of Medicine, performs a wide variety of surgical procedures including: Nasal and sinus surgery, thyroid and parathyroid surgery, airway surgery for sleep apnea, skin cancer removal and reconstruction, tonsillectomies and adenoidectomies, PE tubes for ear infections and many more. Particularly blessed by his amazing staff, it is our collective hope and prayer that you will feel well served and cared for in your experience with this practice. 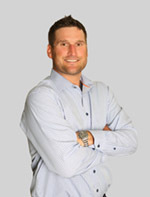 Dr. Rossi graduated from Elmhurst College in 2006. He received his medical degree from the University of Sint Eustatius School of Medicine in 2012. He started the practice for Dr. Amble and serves as the practice administrator. The doors were officially opened on October 2, 2013. The two of them have become very close and enjoy working with each other. 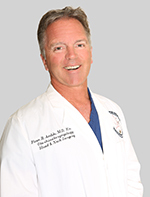 Dr. Rossi also serves as his surgical assistant in surgery for some procedures. In college he received several awards for achievements playing soccer. He is still actively playing and coaching soccer. Jeanette graduated from Southeast Area Vocational Technical College in Sioux Falls, SD in 1980 with LPN designation. 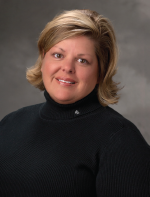 She continued pursuing her education through the University of South Dakota in Vermillion, SD, graduating with her Associates Degree in Nursing in 1986. While continuing to work, she attended the South Dakota State University obtaining her Bachelor’s Degree in Nursing in 1998. She moved to Colorado in 2000 and attended Regis University initiating her Master’s Degree in Nursing. She transferred to Mennonite College of Nursing in Normal, IL in 2001 and completed her Master in Nursing as a Family Nurse Practitioner. Jeanette grew up on a farm in Iowa and moved to South Dakota following graduation to pursue a career and education. For a short time she was a traveling nurse and enjoyed life in San Diego, CA. She moved to Illinois to be close to family while attending school. She served with medical mission work and traveled to Haiti and Mexico. She likes traveling, cooking and enjoying time with her family in her spare time. She is active in the AANP association for Advanced Practice. She attends Eastview Christian Church and her love of God and her passion for people is her strongest motivation. Ms. Feucht is talented, knowledgeable and committed. There are many aspects of our practice which center around medical approaches, which typically start with her. Ms. Feucht and I are in constant contact regarding our patients and coordinate your care together. 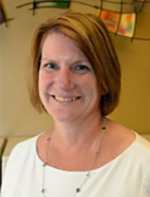 Dr. Ann Marie Smith earned her Masters of Communication Disorder degree from the University of Northern Iowa and her Doctorate of Audiology (Au.D.) degree from Arizona of School of Health Sciences. Dr. Smith is certified by the American Speech, Language, & Hearing Association. Ann Marie grew up in southeast Iowa. She moved to Illinois in 2014 with her husband. She has two children and two adorable kittens, Louis and Cricket. Ann Marie enjoys helping patients of all ages. 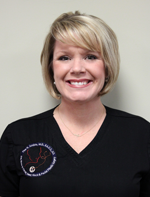 She enjoys her relationships with her patients and their family members. Carrie grew up in Bloomington-Normal and stayed because it is such a great community to raise a family! She graduated from Heartland Community College Nursing School in 2001. 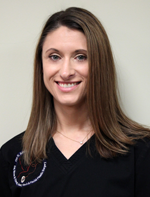 Carrie has been an ENT nurse with Dr. Finn Amble for the past 8 years and absolutely loves it!! She has been married to her husband for 11 years and they have 2 children, Peyton and Ella. They have 2 very precious dachshunds that are my babies as well. She enjoys spending time with her family, warm weather, traveling, and of course shopping. Megan grew up in Maryville, IL where most of her family still resides. Megan attended Elmhurst College where she recieved her Bachelors of Science in nursing while playing on the Women’s Soccer team. Megan began her nursing career working at Elmhust College on a cardiac floor before moving to Clinton, IL with her husband. After moving to Clinton, Megan worked on the neurology/surgical floor at Decatur Memorial Hosptial where she found an interest working with pre and post operative patients. This interest lead her to Dr Amble’s practice where she has enjoyed working since 2008. 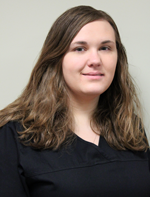 Ashley has worked with Dr. Amble for over 5 years. Shes started out as a Medical Office Assistance then became the Surgery Scheduler which she has done for over 4 years now. Ashley is currently going to Lincoln College for her Bachelors degree in Health Administration. “Working with Dr. Amble has been a great experience, he has been very supportive and encouraging me wanting to continue my education.” She lives in Bloomington with her husband and son. They enjoy playing board games and watching sports as a family. Melissa grew up in Normal, IL. She graduated from the original Normal Community High School in 1995. She met her now husband as a senior. Melissa started working in the medical field at age 18 with many years on the job training. She had her son in 1996 and daughter in 1998. Melissa and her husband wed in 2000. Shortly after, they moved to the Blue Ridge School District and now reside in Farmer City. 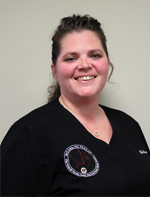 Melissa has worked in many departments throughout OSF St. Joseph Medical Center. In 2007, she started working for OSF Fort Jesse Family Medicine as an MOA. Melissa has almost 10 years experience in this profession. In 2010, she transferred to Eastland SurgiCenter and Endoscopy. Through various avenues, she gathered more knowledge. She enjoys all the physicians, surgeons, staff and patients. In June 2015, she joined the practice of Dr. Finn Amble. “The most amazing part of my job is building a bond with our patients.” Melissa enjoys her family, children and sweet dog. Family has a huge impact in the loving care she provides to everyone.